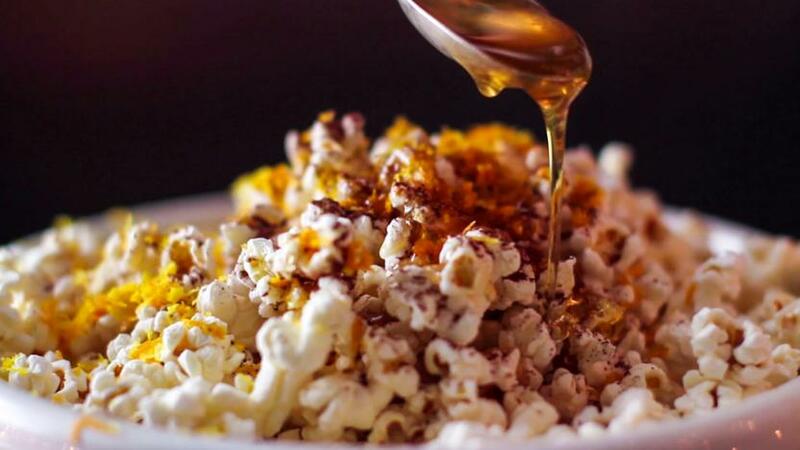 Sprinkle popcorn with a little festive spice for a tempting treat that is sure to be pop-ular with family and friends. Heat the oil for 20-30 seconds over a medium heat in a large lidded saucepan. Add the popcorn, cover with a lid and cook for a few minutes, until it has all popped, giving it a shake halfway through. Tip the popcorn into a bowl. While it is still hot, sieve over the cocoa and ginger, then sprinkle over the orange zest and drizzle on the honey. Mix well and serve.